Nestled in a valley within the breathtaking Smoky Mountains, Pigeon Forge is a world class destination for nature enthusiasts. 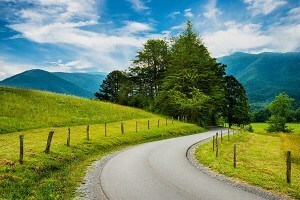 The biggest draw is, of course, the vast and beautiful Great Smoky Mountains National Park. The park is comprised of 500,000 acres and over 800 miles of hiking trails. Hikers can enjoy the miraculous wonders of nature year round on trails designed to accommodate all levels of hiking ability. Many visitors to the park are hoping to see a bear and with 1500 bears in the park you very well may. But don’t forget to look out for other creatures; the Smokies have the most biological diversity of any temperate zone on Earth. Included in this amazing diversity are over 1600 types of flowering plants. Ranger Guided programs are available year-round so that visitors can learn about this great American treasure. Within the park, some of the best opportunities for wildlife viewing can be found in the popular Cades Cove. White-tailed deer are frequently seen in large numbers and it is also quite common to see; black bear, coyotes, ground hogs, turkey, raccoon and skunk. Numerous trails originate in the Cove and wildlife can also be viewed from your vehicle on an 11 mile one-way loop. Cades Cove boasts a campground and a horse camp as well. The Great Smoky Mountains National Park offers four types of camping for visitors who wish to stay within the park. Backcountry camping requires campers to hike several miles to sites located in the backcountry. Frontcountry sites allow campers to camp near their vehicles in campgrounds that have bathrooms. Group campsites are located within the frontcountry campsites and accommodate groups of 8 or more. Finally, horse camps are small campgrounds that are accessible by vehicle, have hitch racks for horses and primitive camping facilities. The Great Smoky Mountain National Park is indeed breathtaking but not to be overlooked are Pigeon Forge’s city parks. They boast a variety of possibilities for free family fun. A new greenway can be accessed from City Park and Patriot Park and Patriot Park also has a walking trail that honors local veterans. For the enthusiastic nature lovers, who want to spend their whole vacation outdoors, Pigeon Forge has over 1900 campsites. Ranging from primitive sites within the park to full RV hookups at campgrounds with amenities such as pools and playgrounds, there is definitely a site for you. Wilderness Wildlife Week is one of the highlights of the year, bringing thousands of nature lovers from all over the world into Pigeon Forge. Included in the week’s activities are guided hikes, storytelling, photography, fishing and music. This year over 100 experts will give 175 lectures, seminars and lessons to those eager to learn more about nature. Dates for the 2012 Pigeon Forge Wilderness Wildlife Week are January 7th-January 14th. Weather in Pigeon Forge and Gatlinburg in Tennessee can be quite unpredictable. Often unseen changes in overall climate, temperature, and moisture levels can take place within a 24 hour time-span. The elevation ranges between 800 feet to 6,643 feet and topography affects local weather, especially with Eastern moving systems coming over the plateau in Middle Tennessee. These systems strengthen there, and are then blocked by the ridge along the valley. 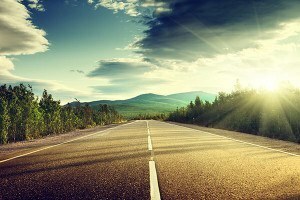 What this means for potential travelers is that you must come prepared to weather out severe thunder storms and freezing situations. Weather during the Spring months can produce pretty severe thunder storms, including high winds and hail at higher elevations. There is even the rare tornado that spawns within the valley. Also during the winter it is not uncommon to have heavy snows and icy conditions on the roads at higher elevations. The Great Smokey Mountains are a wonderful and beautiful place to visit year ‘round. Just have your family prepared if the weather takes a turn for the worst for a couple of days if you intend on staying during the Winter or Spring months. Pigeon Forge, Sevierville and Gatlinburg are all located in Sevier County, TN. Sevier County is technically a dry county, though it includes a city option for the sale and service of liquor and/or beer with regard to state law. Sevierville restaurants may serve liquor by the drink and beer sales. Sevierville offers no package liquor sales. In Pigeon Forge you may purchase beer with alcohol content of 6.2% in restaurants at most major rest stops, gas stations, and grocers. Pigeon Forge offers no package liquor sales. You must travel to Gatlinburg proper to purchase package liquor. The nearest liquor store to Pigeon Forge and Sevierville is the Gatlinburg Package Store. They are located just as you enter the city at 132 Parkway, before traffic light 1, the second building on the left. 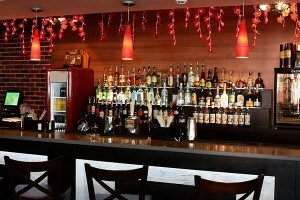 They offer one of the areas largest selections of Imported and Domestic Liquors, Wines and specialty Beers. Contact them at 865-436-7806. In Gatlinburg, restaurants may serve liquor by the drink and beer. Although you can spend the day walking around Main Street, you may wish to relax and let someone else do the driving! Pigeon Forge offers affordable public transportation on the Fun Time Trolley, thusly named for its resemblance to old-time trolley cars! The safe and courteous drivers will pick you up at over 100 stops through the cities of Pigeon Forge, Gatlinburg and Sevierville. Just look for the bear and we will be there shortly. 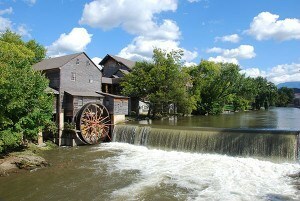 See the city of Pigeon Forge in a safe and unique way. 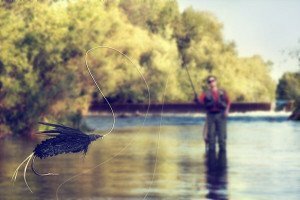 Hunting and fishing licenses go on sale February 18 each year, the beginning of prime fishing, and are valid until the last day of February the following year. Seasons are subject to change & license fees are subject to change. Migratory bird seasons are determined by federal regulations. Most licenses, except the Lifetime Sportsman License and specialty licenses, such as Wheelchair, Disabled Veteran, SSI (Supplemental Security Income), and Blind Fishing licenses, are available from most county clerks, sporting goods stores, hardware stores, boat docks, this website, and from all TWRA offices. Please note! License paper will remain orange for the next 5 years (until 2016), instead of changing color each year as it has in the past. Please don’t be alarmed when your new license is the same color as your old one! The TWRA is funded by two primary sources: license/permit sales and federal excise taxes (Pittman-Robertson and Wallop-Breaux). Tennessee’s allocation of these federal taxes is based in part, on the number of hunters and fishermen in the state. The TWRA does not receive any funding from the State’s general fund (i.e. state sales tax). Thank you for buying a license. Without your support, Tennessee would not have fish and wildlife management programs. -taken from www.tn.gov – Tennessee Wildlife Resources Agency. 217 Forks of The River Pkwy.